Our lives are constantly getting busier and busier, with our working lives steadily taking up more and more of our time. Many of us now spend more time at home entertaining family and friends, but the one thing that we tend to need is more space.  So if you’re looking for additional kitchen space, or a bigger dining area, or even more bedrooms, P Ward Construction are specialists in helping families realise their dreams. Our extensions are all indivual to our customers’ requirements offering comfort, space and most importantly, value for money. An extension could very well be the perfect addition to your home. You can tailor the design to suits your needs. Your beautiful new extension will become a seamless addition to your home, complementing your property for many years to come. At P Ward Construction we believe that Communication is the key to the whole process from start to finish. We pride ourselves on our ability to listen to clients, advising them on the best way forward to create their perfect dream design. We have a proven track record of completed projects, from a single storey extension to a total refurbishment. We offer a full custom bespoke service using architects, surveyors, structural engineers, building inspectors, builders and joiners. Our teams will work with you through each stage of your project and will create an extension you will be delighted with. If your family has recently grown or you need a new home office? Or do you just need more space? A side extension could utilise ground level space that is currently underused or wasted, particularly in a side garden return, therefore opening up your home and accommodating your needs. P Ward Construction has extensive experience and specialises in extending properties into side returns, we design and build using a variety of roof lights and windows that create light and open extensions that really improve the aesthetics of your home and provide a fantastic living or working space – we take pride in maximising the use of space and light. As with any extension, increasing the ground level space of your property will only increase the value of your home, it’s clear that an extension makes a lot of sense, as well as saving you the time and stress involved with moving.